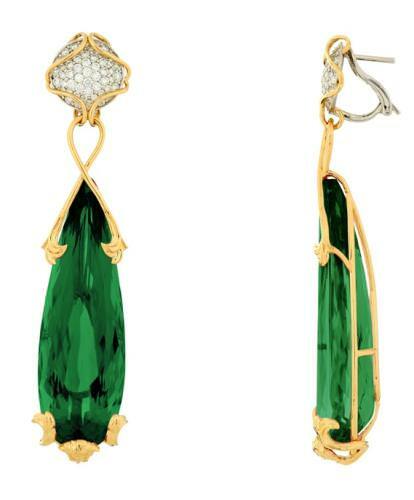 Versace unveils the new Haute Couture earrings that will be presented at Baselworld 2014. With glamorous yet luxury hints, this new collection is characterized by exclusive fine stones such as peridot, rubellite, kunzite and morganite and full diamonds pave. The set is very Versace, too; the precious stones are featured in refined hand-sculptured frames with yellow gold that convey a brilliant and vibrant touch. The Haute Couture earrings are more than ever the perfect blend of fashion and preciousness.